Public awareness of gun violence has increased in recent years as a result of mass casualty incidents. As gun injuries become more publicized, the defense by premises owners that gun injuries are not foreseeable becomes increasingly subject to challenge. Most injuries from guns occur in the home. Genuine accidents are often covered under a homeowner’s policy, while criminal conduct is not typically covered. If an injury occurs outside of the home in a place of inadequate security, a premises liability claim may arise. Generally, when violence is foreseeable because a business owner knew or had reason to know of criminal activity on or near the premises before the injury occurred, the owner may be liable. Premises liability was the issue in Axelrod v. Cinemark Holdings, Inc., 65 F.Supp.3d 1093 (CO 2014). That case addressed the shootings that occurred at a movie theater in Aurora, Colorado in 2012 killing 12 people and wounding many others. Plaintiffs argued that the Defendants failed to take reasonable steps to provide security for the theater. Defendants claimed that the shootings were unforeseeable and filed a motion for summary judgment to dismiss the case. In denying the summary judgment motion, the Court contrasted its decision with the holding in the earlier case of Lopez v. McDonald’s Corp., 193 Cal.App.3d 495, 238 Cal.Rptr. 436 (Cal. Ct. Appl. 1987), a case that addressed the killing of 21 people in 1984 at a McDonald’s restaurant in San Ysidro, California. The Lopez court had determined that McDonald’s general duty to its patrons did not include protection against a “once-in-a-lifetime” massacre. Addressing the Lopez decision, the Axelrod court wrote, “what was ‘so unlikely to occur within the setting of modern life’ as to be unforeseeable in 1984 was not necessarily unlikely by 2012.” In other words, as gun violence becomes more publicized, it becomes increasingly foreseeable. Since the shootings in the Axelrod case, the “foreseeability bar” has arguably been lowered further by other high-profile gun injury cases. Practitioners should recognize that this change in the social landscape may enable gun injury victims to obtain recoveries in cases that might not have been viable in a previous era. Once the foreseeability bar is cleared, the question becomes whether the premises exercised reasonable care to protect its patrons. This is a factual inquiry for a jury. Gun injury cases that occur in high crime areas on premises with poor security should be carefully reviewed in this new era of increased foreseeability. Practitioners should also be aware that the person who pulls the trigger is often not the only person potentially liable for the injury. Someone other than the user of the weapon may bear responsibility for the safety of the weapon. Different types of failures in oversight include negligent entrustment, negligent supervision, and negligent storage. “Negligent entrustment” imposes liability when someone supplies a product to another when he or she has reason to suspect that the recipient will not be able to use the product safely. For example, in KRS §527.110, Kentucky makes it unlawful under certain circumstances to provide a handgun to a juvenile or to permit a juvenile to possess a handgun. In some instances, statutory law can help establish negligent entrustment and make the case one of negligence per se. “Negligent supervision” cases are rare and generally occur in an instructional setting. When a firearm instructor fails to properly supervise a student and an injury occurs, a negligent supervision claim may be maintained. 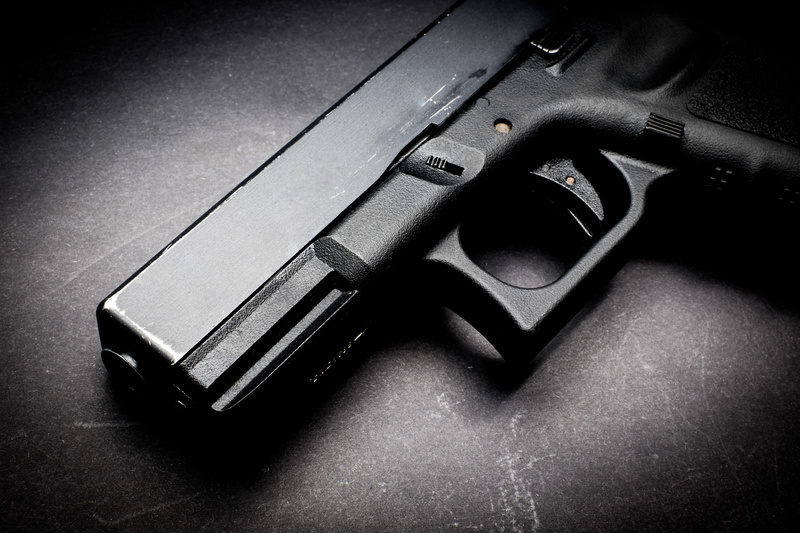 “Negligent storage” cases are more common and occur when the person storing the weapon knew or should have known that the weapon created an unreasonable risk of harm to others. Many different sources, including the National Rifle Association, provide gun safety storage standards that can be useful in proving negligent storage. Different legal strategies apply depending upon whether the injury occurred during the commission of a crime, during a legal activity, or as a result of a gun malfunction. When a defendant is using a firearm to commit a crime or other unlawful act, a judgment finding the defendant in violation of a criminal statute while using the weapon may be used in the civil context to establish negligence per se. If an injury occurs in the course of legal activity, such as hunting, the case may be described as one of “negligent discharge”. Hunters are required to point their firearms away from other hunters as a precaution to the accidental discharge of their weapon. The duty of care owed to others is almost always violated when a gun barrel is pointed at another person for any reason other than self-defense. There is an extremely high duty to handle firearms properly, and it is well understood by juries. An injury may also be caused by a firearm malfunction, which can result from manufacturing defects or improper maintenance. If the gun or the ammunition is defectively made, a products liability case can proceed. If the gun malfunctions due to negligent maintenance, the party responsible for maintaining the gun may be liable. Numerous attempts have been made to assert liability against the manufacturers, distributors, and dealers who sell guns. When identifying these entities as potential defendants, counsel should carefully review the Protection of Lawful Commerce in Arms Act, 15 USCS §7901. This Act blocks lawsuits in which the only theory of liability is that guns are dangerous and constitute a public nuisance. Other theories of liability, however, are not foreclosed by the Act. Due to recent gun violence in public places, gun injuries are becoming increasingly foreseeable, increasing the need for safety measures. Although the law closes some avenues of recovery for gun victims, those that remain open should be pursued vigorously to help the injured and their families. If you need help with a case of gun violence, contact the experts at Clark Law Office. We are conveniently located in Lexington, Kentucky and proudly serve the surrounding areas.